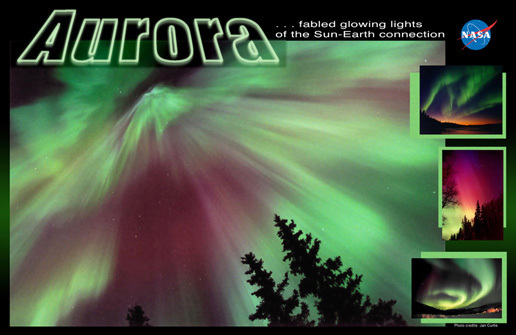 Aimed at middle school levels, the double-sided color poster contains aurora photos and explanatory graphics. Users will learn what the aurora looks like, it causes, where and when it can be seen, history, and cultural aspects. There is a lesson on planning a trip to see the aurora, covering national education standards in science, math, and geography. Download pdf version of the Aurora poster. and at An Unusual Light Show.